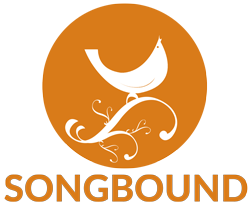 Sawaale was the inaugural Project Songbound project. Over the course of six weeks, children from Goldsworth Primary School in Woking, UK and the Songbound Prerana Choir communicated over the internet to compose their own song, ‘Sawaale’ (Questions in Hindi). Sessions that were led in Woking by Martin Lawrence (horn player with the Orchestra of the Age of Enlightenment and Orchestra Revolutionaire et Romantique) and Jo Lawrence (violinist with the Academy of Ancient Music) and in India by Songbound choir leader and playback singer Tamara Menon. The project culminated with a live video link-up between the children who, together, performed the world premiere of Sawaale, the song that they could jointly call their own. Orchestra Revolutionaire et Romantique) and Jo Lawrence (violinist with the Academy of Ancient Music) and in India by Songbound choir leader and playback singer Tamara Menon. The project culminated with a live video link-up between the children who, together, performed the world premiere of Sawaale, the song that they could jointly call their own.